Sandwiched between Carroll Gardens and Park Slope, Gowanus has become one of Brooklyn's most popular neighborhoods. Every week it seems like a new restaurant, bar or hot spot is opening in the area. The once empty warehouses are filling with artists' studios, music venues, and artisanal businesses. In short, Gowanus has become a new creative enclave. It also has excellent connections to the rest of the city through the D, N, R, W, F and G lines. The regeneration of Gowanus is just beginning, and there are plans for more canal front development, making this an area with tremendous long-term potential for any buyer looking for Gowanus Apartments. Some of the old industrial spaces have been converted into attractive condos, and if you're looking for more traditional Gowanus homes, there are also wood-framed homes with backyard spaces. The area was initially named after Gauwane, a member of the Canarsee Tribe (whose name means 'the sleeper.') Up until the mid-19th century, it was just pastoral countryside farmed by Dutch settlers that surrounded a creek. In the 1860's it was decided to convert Gowanus Creek into Gowanus Canal to help promote commerce. This proved highly successful, and by the late nineteenth century, the area was a major center for shipping and manufacturing. After World War II, the decline of shipping at the port of Red Hook prompted the large industry to leave leading to an era of decline. The industrial spaces fell empty, and it wasn't until the 21st century that artists looking for affordable studio spaces began to move in. 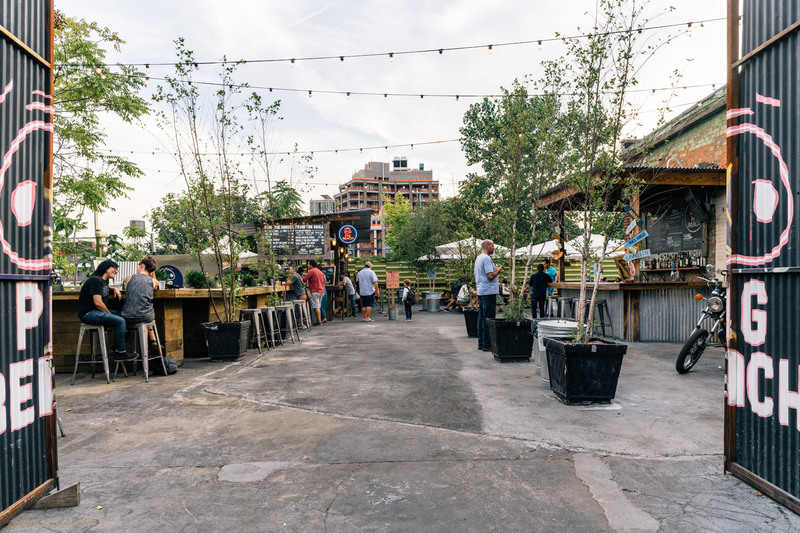 There are many things to do in Gowanus that will bring out your artistic side. Brooklyn Glass is a perfect example. It offers classes in glass blowing and has 'Cold beer Hot Glass' evenings where you can enjoy a cold one while watching the experts show off their skills. Then there's Trestle, a non-profit arts organization that has a gallery space and classes in everything from figure drawing to block printing. Not to be left out, Twig also offers classes, but theirs are in the art of making terrariums. Instructors give you one-on-one time to help you with your green creation. What was once the Central Power Station of the Brooklyn Rapid Transit Company is now known locally as the 'Gowanus Batcave.' Currently it is being developed into an arts center, but for now, it still has impressive graffiti and outsider art lining its walls. 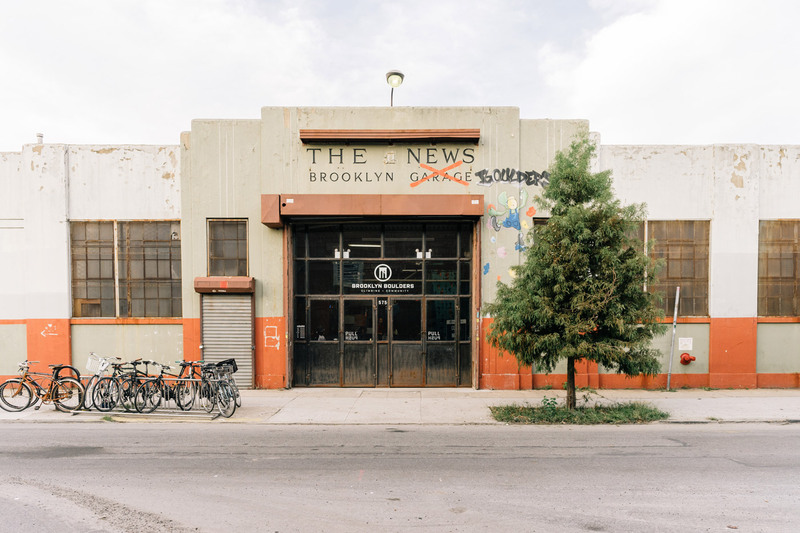 Bikes are the perfect way to explore Gowanus, and you can rent them at 718 Cyclery, which also runs classes in bike maintenance. Alternatively, visit Acme Bicycle Co who is known for making custom cycles designed to fit you perfectly. Musicians will enjoy Retrofret Vintage guitars, who have a regularly updated inventory of old and rare electric and acoustic instruments. As well as guitars they also have mandolins and ukuleles. 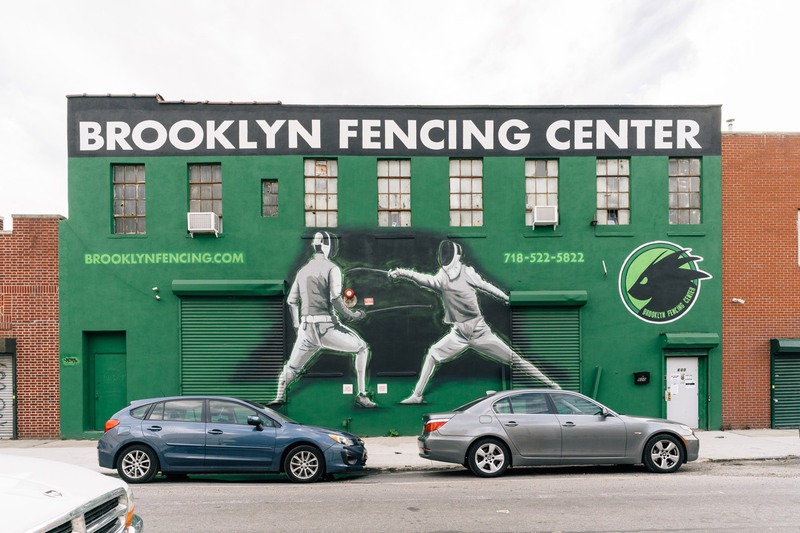 In a cool industrial space, Cut Brooklyn offers you some of the very best handcrafted steel and carbon knives used by many of the city's top chefs, as well as knife sharpening services. Part of the L-Train Vintage mini-chain, No Relation Vintage describes itself as New York's largest store for thrift and vintage clothing. Those exploring this sprawling space will find everything from military jackets to old-school t-shirts and dresses. 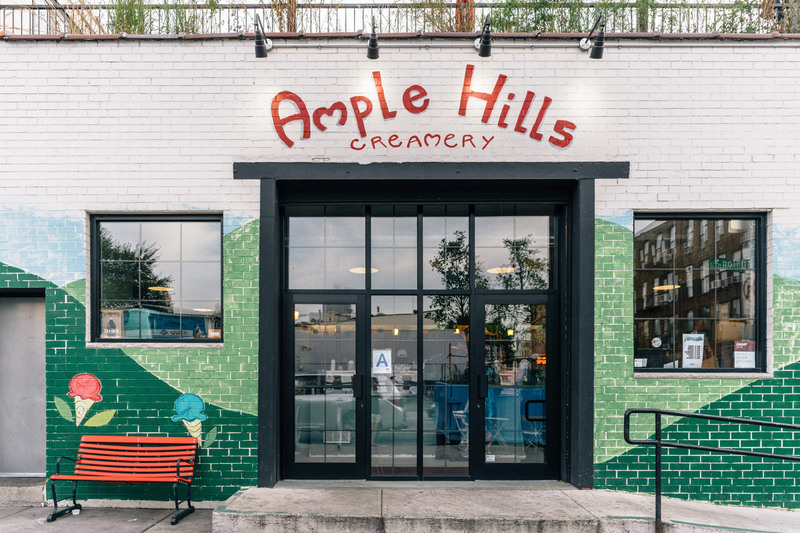 In the past decade, the neighborhood has seen a host of restaurant openings that have transformed this once industrial area. This is typified by the well-reviewed Freek's Mill. 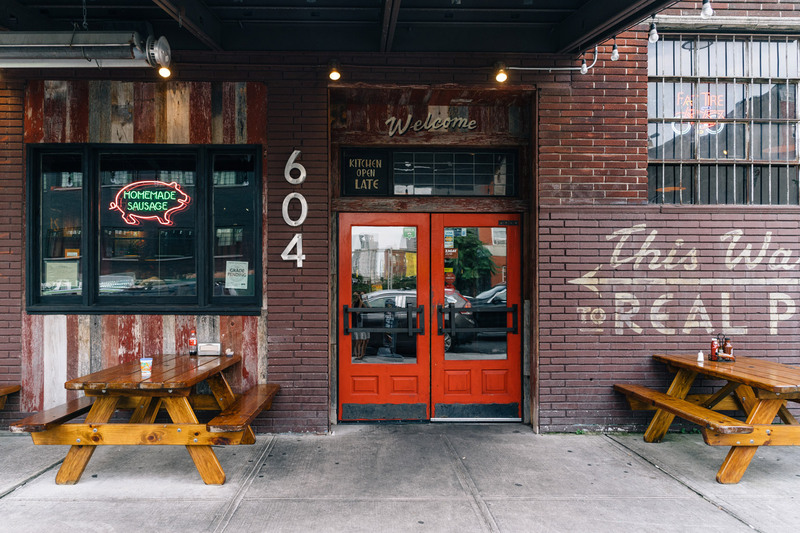 Located in a simple brick-walled space, this new American eatery offers shareable American dishes using local ingredients. Dishes include BBQ kohlrabi with grits and dry-aged duck, accompanied by an eclectic wine menu that even makes room for the wines of the Republic of Georgia. Established in 2009 by sisters Melissa and Emily Elsen, Four & Twenty Blackbirds is a cozy bakery and cafe with a seasonally changing menu of handmade pies that you can buy by the slice. Named after the owner's grandma, Baba's Pierogies is a modern space that highlights the art of pierogis with both classic and non-traditional fillings like jalapeños and mac 'n' cheese. With its tin ceiling and inviting long bar, Italian restaurant Bar Tanto has a distinctly old-world vibe. There are over 30 Italian wines to drink as well as house cocktails and ten beers on tap, while the food menu features paninis and pasta dishes. This casual bistro is also an excellent spot to try brunch. No Brooklyn neighborhood is complete without a place to eat pizza. Gowanus obliges with Table 87 which has Coal Oven pizza served by the slice. Finally, Runner and Stone is a great community restaurant and bar that bakes all of its bread and pastries in-house. In the evening they also offer a range of house-made pastas to enjoy. The award-winning Strong Rope Brewery and Taproom creates a variety of handcrafted ales born from farm-fresh local ingredients. Most beers are made on the premises and on Saturdays there is a guided tour of the brewery. Whether you're after a beer, a shot or a crafted cocktail, Dirty Precious has you covered. With its distinctive riveted brass bar lit up by lanterns, this casual bar offers an unusual blend of handcrafted cocktails and beer. Unobtrusive, wood-fronted Black Mountain Wine House has a meticulously curated wine list, which you can enjoy in front of an open fire. Small plates like pork meatballs and white bean crostini are available to accompany the drinks. Lastly, there is Bell House, a sprawling space with two bars and a performance space where you can see live bands, podcast recordings, and comedy shows.